Having played on the right wing during the early part of his career, the converted right back proved a revelation, mixing incredible pace with great tackling ability. He was a solid defender, but also a dangerous player going forward and he quickly became a favourite with the fans. He played in every League game during that promotion winning season, and also became the first choice right back as Diamonds entered the Football League. Tarkan continued his good form the following season, scoring a memorable first goal for the club as they defeated Burnley 3-2 at Turf Moor in the League Cup, but unfortunately, injury in the second half against Leyton Orient led to his first spell out of the side. 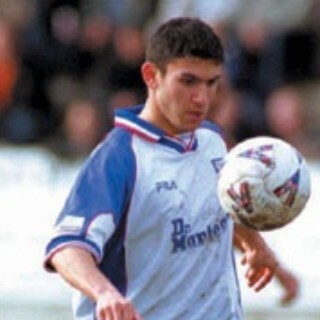 He returned after three months out and was part of the side that reached the Division 3 play-off final that season. Surprisingly, in November 2002, he was placed on the transfer list after being told he could not be guaranteed a first team place. He went on loan to Doncaster Rovers on 20 December 2002, with a view to a permanent deal, but despite being offered a contract, he returned to Nene Park, before signing for Dagenham & Redbridge on 6 February 2003. He went on to play for Garry Hill at AFC Hornchurch in April 2004, but financial troubles at the Essex club led to him Aldershot Town in January 2006. 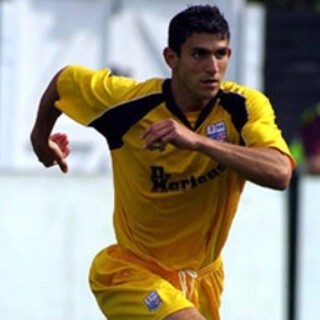 After a month long loan with Billericay Town, he was released in February 2006, having spells with Lewes, Worthing and Thurrock before joining Eastleigh in November 2006. He rejoined Worthing at the start of the 2007/2008 season but left again in October, having a brief spells with Braintree Town, Clapton, Leyton and Redbridge. He joined newly promoted Isthmian Premier side Canvey Island in July 2008. He retired from the game and moved into sports coaching a while later.